Pro-TDP Media began highlighting Enforcement Directorate (ED) naming YS Bharathi in the charge sheet over the investments in Bharathi Cements. YSR Congress grew suspicious about the role of TDP & Yellow Media in this whole episode. 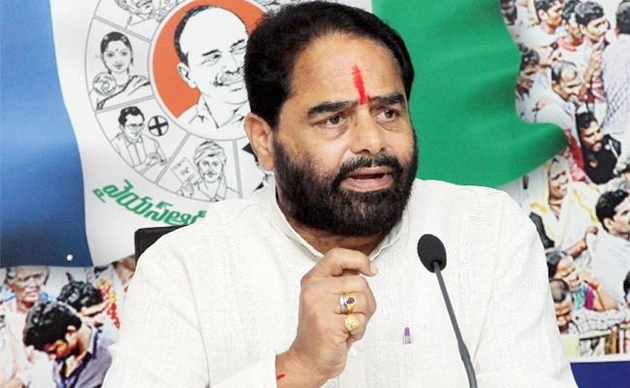 YCP Leader Tammineni Sitharam demanded Enforcement Directorate & Yellow Media to disclose what's wrong about the investments in Bharathi Cements. 'ED includes the name of YS Bharathi in the charge sheet after 7 years. How could Yellow Media knew about it even before YS Bharathi? Officials identified as Uma Shankar Goud & Gandhi were behind the leaks to TDP. Investments in Bharathi Cements are legal. Majority stake (51 percent) in the company was bought by France Company Vicat. BJP has been handling this case according to the directions of TDP. Why no action was taken against Chandrababu Naidu though he was caught red handed in the Cash-for-Vote case?,' he questioned. The Former Minister alleged Chandrababu continues secret pact with BJP pointing out Rajnath Singh's comment 'TDP - A Permanent Friend' during debate on No Confidence Motion. He added, 'Chandrababu Naidu has been travelling with BJP and Congress at a time. Both Congress and BJP has done injustice to AP. The ideology with which NTR floated TDP has been ignored completed by Chandrababu Naidu to form alliance with Congress. It was he who offered letter for bifurcation of United AP. Any number of allegations and conspiracies won't affect the mental stability of Jagan even a bit'. Yellow Media Targets Bharathi - Jagan Hits Back!